Looking for ways to enhance your home or business? You can’t go wrong with an awning! Let us help find the solution that works best for you! Browse our selection of awning and shade materials. Browse and download each of our product brochures to learn more. Learn about the benefits of outfitting your home or business with an awning. Established in 1918, Van Nuys Awning Co.® has established itself as a leader in the production of custom canvas coverings for residential, commercial, and industrial clients. We offer a wide variety of products, including residential and commercial awnings, canopies, shade panels, sail shades, cabanas, retractable awnings, carport awnings, and much, much more. Our designers have worked with leading construction companies, architects, parks, and movie studios. When you partner with us, we leverage our experience and expertise to find a solution that best meets your space, budget, and needs. 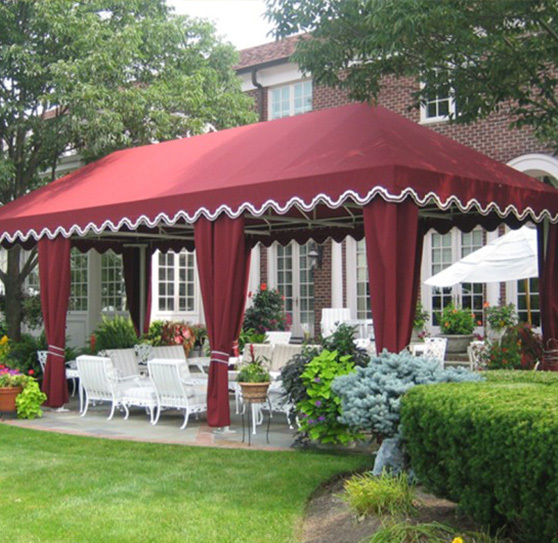 Check out some of the various awning and shade projects we have completed for our customers.